Magnets print on a white front with a magnetic back that allows them to stick. You can only print on the front side. 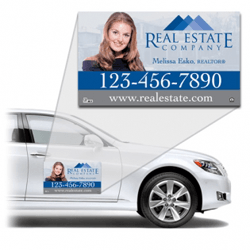 Available in many sizes including "Custom Trim", Magnets are a useful tool for customers that can serve a dual purpose as marketing material for you. Depending on size, magnets can go just about any where they will stick.